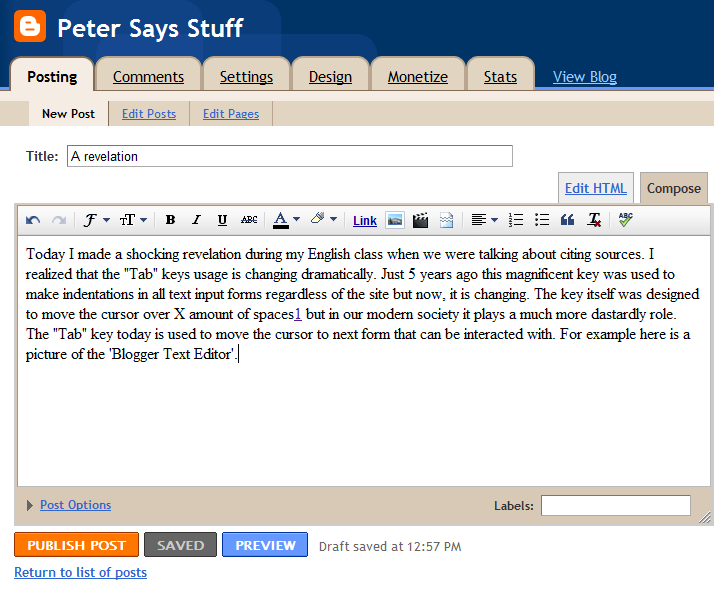 Today I made a shocking revelation during my English class when we were talking about citing sources. 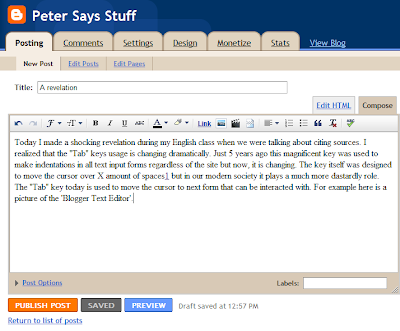 I realized that the "Tab" keys usage is changing dramatically. Just 5 years ago this magnificent key was used to make indentations in all text input forms regardless of the site but now, it is changing. The key itself was designed to move the cursor over X amount of spaces1 but in our modern society it plays a much more dastardly role. The "Tab" key today is used to move the cursor to next form that can be interacted with. For example here is a picture of the 'Blogger Text Editor'. 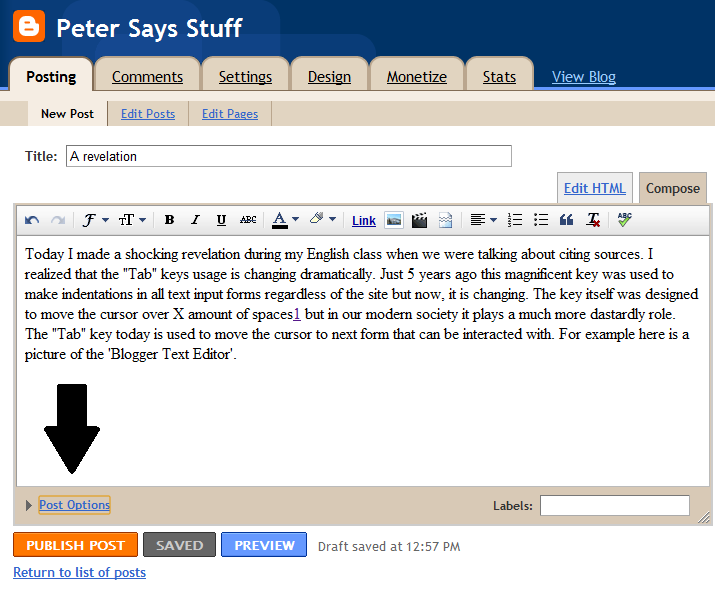 Notice that the cursor has now selected the 'Post Options' button thus making a perfect example of what is happening. Ultimately this must be stopped and the key must be returned to it's former glory if it is to flourish as part of our beloved keyboard. Dedicated to Marlana because she made me pinky promise to write this.